Outlast 2 - Gamehorizon Review - First Person Horror Returns! 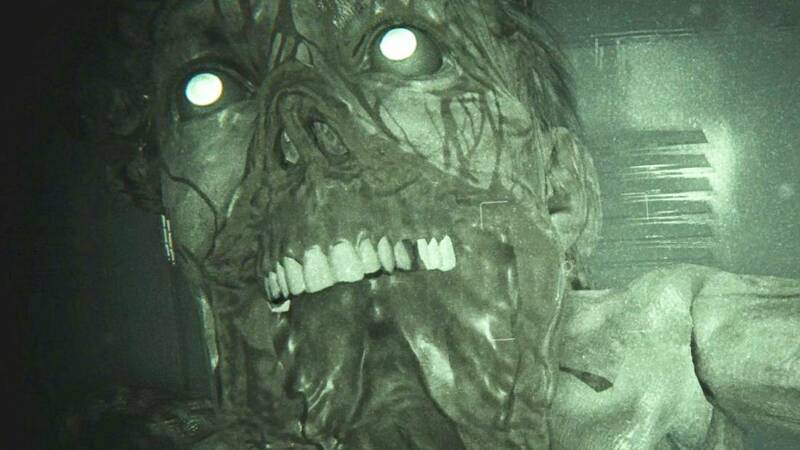 On September 4, 2013, the game developing company Red Barrels introduced us to the first person survival horror game known as Outlast. The game was first developed for Microsoft Windows. Exactly a year later it was released for PlayStation 4 and on June 19, 2014 for Xbox one. 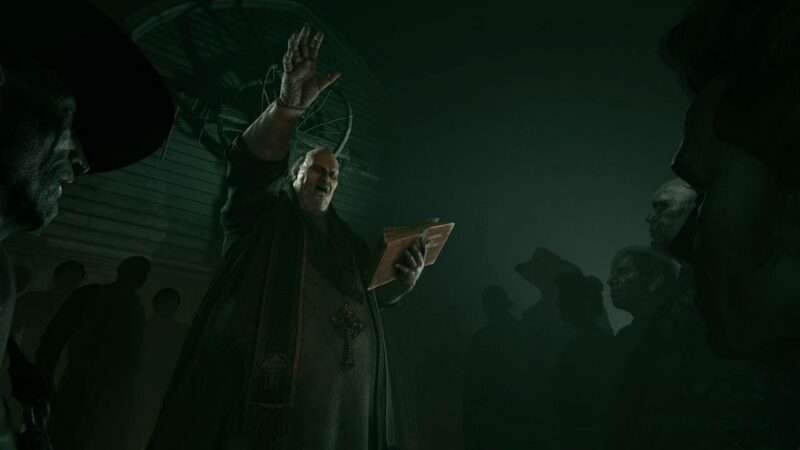 The game was very well received, selling close to 4 million copies as of October 2016 and now Outlast 2 is out. Miles Upshur, the protagonist of the game is a freelance investigated journalist who takes the decision to investigate an abandoned psychiatric hospital by the name of Mount Massive Asylum. The Asylum is located deep inside the mountains of the Lake County, Colorado. It took four years for the sequel of the game to be released. On April 25, 2017 we got our hands on Outlast 2. The sequel of the first Outlast is not centred around Miles Upshur. This time we are following journalist Blake Langermann and his wife Lynn on their journey to the Arizona desert where they begin to explore and investigate the murder of a young pregnant woman whose name is unknown. In the beginning of the game, the helicopter that is transporting the journalist and his wife crashes and the two protagonists get separated. Throughout the game, we follow Blake on his journey to find his wife while travelling through a village filled with a sect that believes that, the end of the world is much closer than what we think. The first Outlast was, actually, very well received. Excellent critics about the gameplay, as well as the horror elements, make the game a true masterpiece. Subsequently, countless of gamers all around the world wanted to play the game. And everybody was expecting something great from the sequel. As one of those gamers, I decided to get my hands on that game the moment it got released. And I was not disappointed! The developers used the Unreal Engine 3 once again and made the game, a masterpiece to play. Without wanting to spoil the story of the game, I will only talk about the technical features of the gameplay, the horror elements, the importance of the sounds and music as well as everything else that made me want to play it again. Starting off with the gameplay, we do not see a lot of changes between the first Outlast and Outlast 2. The handling is pretty much the same which means that, if you were got scared from all the jump scares around the game, the first time, you can definitely expect the same thing here. The Red Barrels people have made it, apparently, their life’s purpose to create the best sequel the first game. And they have succeeded. The horror elements all around the game a massive. Therefore, the game is definitely not for the fainthearted! Although we are once again focusing around the journalist investigating a mystery/murder, both storylines are completely different and equally interesting. If, for a moment, you take a step back and you do not focus on the horror elements you will find out that, the story of the new journalist, Blake, has most certainly a lot more things to offer. As we can understand while playing the game, the developers did not focus on the horror elements alone. They made sure to provide us with a truly interesting story that is going to keep us grounded and wanting more. Now, let’s focus on the horror elements alone. 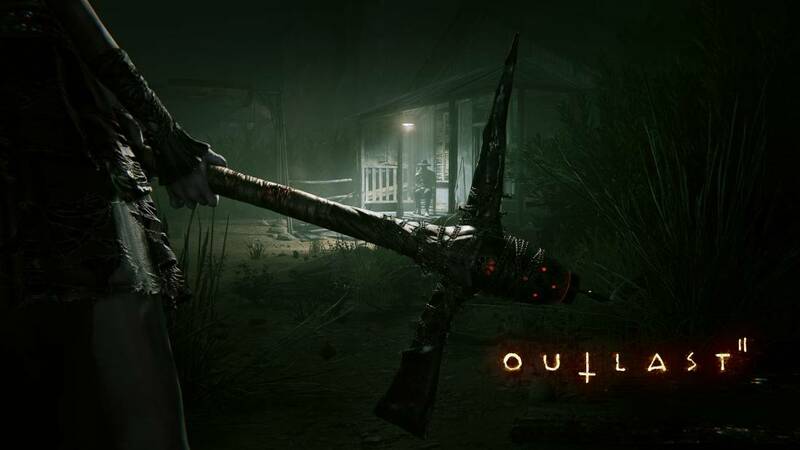 If you have played the first game and you want to play the second you should know that, Outlast 2 is considered to be a lot more intense and unpleasant. Be prepared for the fact that, you might actually have to stop playing the game in order not to get sick. Yes, it is that scary and it can be that sickening. However, an easy way for you to go through the process without having a heart attack is to simply fill a glass of wine and get a little drunk. Yes, I rather unorthodox way to play game but, it works! 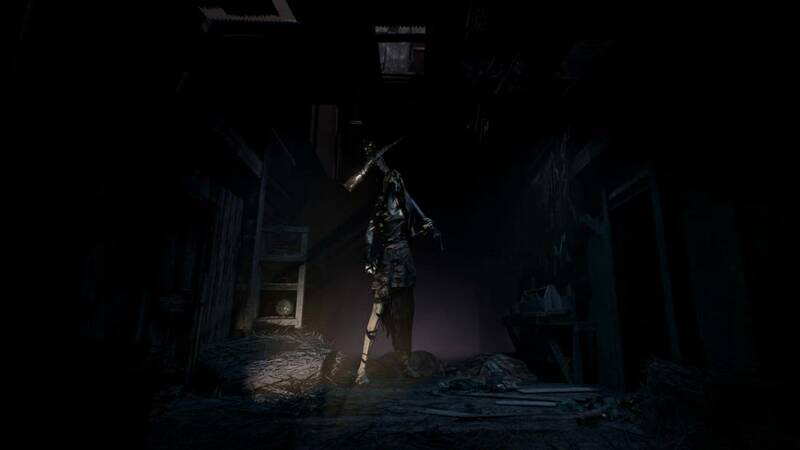 Now, the horror elements and the awesome gameplay would not be what they are if the developers had not made sure to add the right sounds and music. As you walk in the game you can hear the sounds of nature and they are very realistic. When you know that you are in trouble, for example when you see that well-known monster running towards you, the music is going to get a lot more intense and you will know that you are, pretty much screwed. In other words, 50% of the horror element of the game is the music and the environment sounds. Just try to turn off your headset while playing the game. It will not be that terrifying. But, I do not recommend you do that. After all, that is not the reason why you purchased it, to begin with. To sum it up, the mechanics of the two games are pretty much the same. You are holding a handheld camera and you mainly see everything through that camera. You can use it as a flashlight or as a nightvision goggle. The horror elements are a lot more intense in this one which proves that, the developers still have a lot of imagination and can still figure out ways to give us a heart attack. The reviews surrounding Outlast 2, after this point, are quite different. You can find reviews that will praise the game and reviews that will try to convince you that, the game is not worth it. However, there is one thing that I can definitely say is that, you need to play this game. Especially if you have already played the first one. 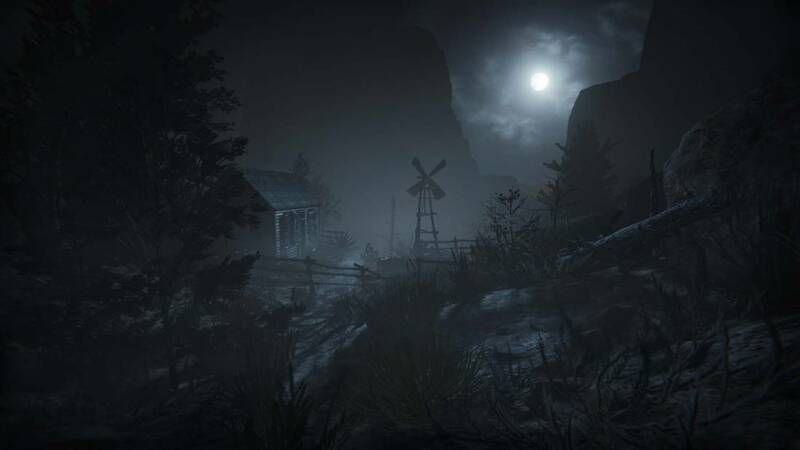 Horror games are not the kind of games that you can learn by simply reading what others had to say about them. You need to feel them inside your skin, feel the terror and horror and emerge a winner. That is what I did and that is definitely what you need to do! A lot of jump scares. This is not a game for people who scare easily!